Denver Cube Hunters rejoice. There are still four chances to win limited edition gear from Never Summer Snowboards or Icelantic Skis by playing FirstBank’s Capture the Cube Denver. A new version of the hunt begins tomorrow, Wednesday, March 9th and continues through Wednesday, March 30th. 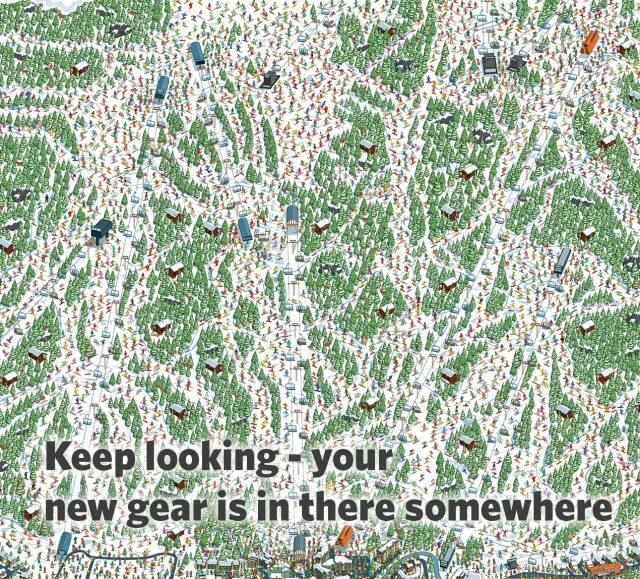 So far this season we’ve given away over 75 free snowboards and skis and aren’t done yet. Now, we’re giving our Instagram followers four more chances to win limited edition gear. The key to winning this time around? Follow @efirstbank on Instagram and keep an eye out for the special In-Branch clues. Once the clue is posted, find that exact image on one of the Capture the Cube posters located in the five Denver-area FirstBank locations below. Snap a photo of that same image within the Capture the Cube poster at our FirstBank branch, post on Instagram and tag @efirstbank. Hit the slopes with your new skis or board and tag @efirstbank in any Instagram photos. 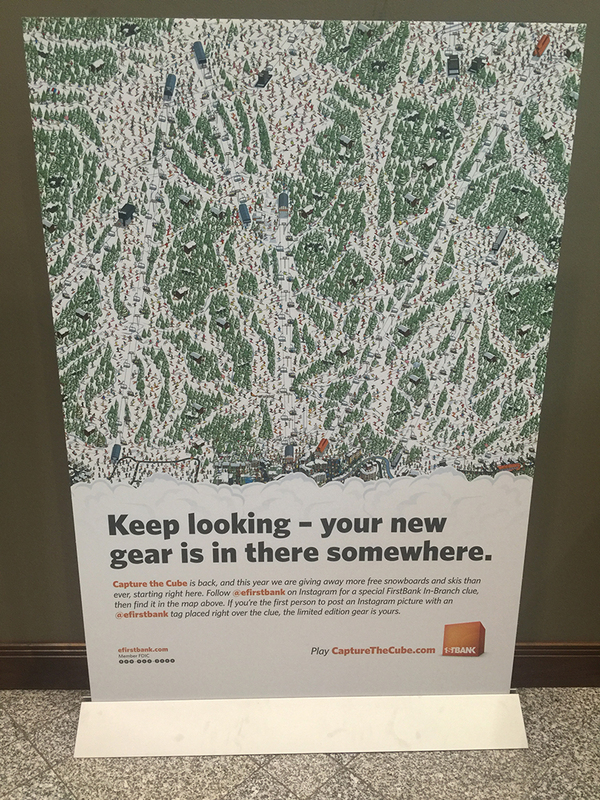 Visit one of five Denver-area FirstBank locations, be the first to find a special Instagram character in the poster, win a pair of skis or snowboard! If you’re still confused at how this process works visit one of the Denver locations mentioned above and speak with a FirstBank employee to learn how to play. Or you can check out our Capture the Cube – Denver Bus Shelter blog post here. Capture the Cube has been running strong up at Copper Mountain. We still have 29 prizes to give out before the end of the ski and snowboard season. View the full gallery of this season’s Capture the Cube at Copper Mountain winners here. Interested in playing? 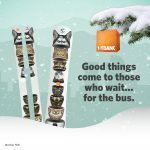 Head up to Copper Mountain, follow @efirstbank on Instagram and visit www.capturethecube.com for instructions. Happy hunting!